Conveniently located on 106th Ave in Bellevue, ATI Physical Therapy is the premier choice for personalized physical therapy in a friendly and encouraging environment. Known for exceptional results and an upbeat atmosphere, ATI Physical Therapy provides physical therapy and sports medicine. Craig is a physical therapist at ATI Physical Therapy in Bellevue, WA. He has been a professional in the field of rehabilitation for more than 20 years, serving first as a Certified Athletic Trainer (ATC) and then as a Physical Therapist. Craig earned his undergraduate degree in Exercise and Sport Science, with emphasis in Athletic Training, from Western Washington University (WWU). While attending WWU, he worked as an Athletic Trainer with the university’s NCAA Division II sports teams, including football, basketball, soccer, cross country, track, and cheer. 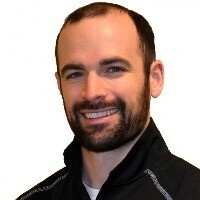 After graduating, Craig worked at Olympic Physical Therapy in Kirkland, WA, as a Certified Athletic Trainer. He attended physical therapy school at the University of Washington (UW) in Seattle, where he earned his Doctor of Physical Therapy degree. He is a member of the American Physical Therapy Association (APTA), and is an APTA Credentialed Clinical Instructor for physical therapy. Craig has served as a teaching assistant in the UW Physical Therapy program since 2014. His physical therapy practice specialty area is outpatient orthopedic rehabilitation, with specialization in pediatric sports medicine. Craig enjoys spending time with friends and family, and loves outdoor activities, including mountain biking, road biking, skiing, kayaking, jogging, and backpacking. As Manager of the Bellevue ATI clinic, Sallie feels privileged to mentor and supervise a team of outstanding therapists and support staff who create an exceptional environment for serving patients. Mike graduated from Washington State University in 2008 with a Bachelor of Science degree in Kinesiology. He went on to earn his Doctor of Physical Therapy degree from the University of St. Augustine for Health Sciences in 2013. 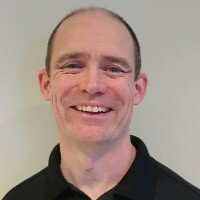 Mike also has taken several continuing education courses that focus on manual therapy, instrument assisted soft tissue mobilization (IASTM), as well as therapeutic exercises and neuromuscular retraining. His passions include weightlifting, golfing, and hiking with his Labrador Retriever. 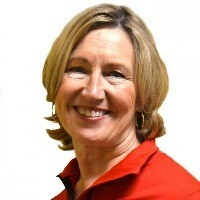 Suzie has a background in dance, musical theater, and sports rehabilitation. Her experience, along with a personal love of hiking, fuels her interest in helping people return to the activities for which they have a passion. 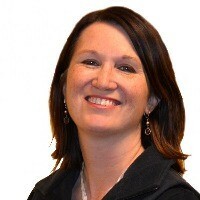 Joni has a special interest in geriatrics, vestibular rehabilitation, balance training, and general orthopedics. 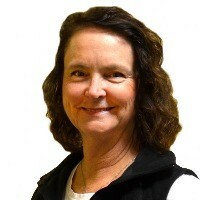 Karen is an experienced orthopedic therapist skilled in evaluating and treating acute and chronic musculoskeletal conditions. Danielle graduated from Western Washington University with a Bachelor degree in Exercise Physiology. 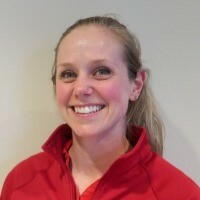 After working for several years as an Exercise Specialist and trainer, she graduated with honors from Whatcom Community College with an Associate degree as a Physical Therapist Assistant. Danielle has a background in weightlifting and yoga and is an LSVT Big Certified Clinician. When not at work, she’s spending time with her husband at Seattle Seahawks games and chasing around her young son. 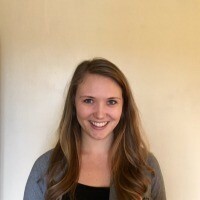 Kelsey graduated from Seattle Pacific University in 2014 with a Bachelor of Science degree in Food and Nutrition. She went on to complete her dietetic internship to become a Registered Dietitian Nutritionist in 2017. Kelsey enjoys working with diverse patient populations who have a wide range of health and wellness goals. She specializes in diabetes, obesity, heart health, child nutrition, aging, plant-based nutrition, and digestive health. She encourages sustainable lifestyle changes that are practical and individualized for each patient and health condition. From injury education and prevention, to conditioning and rehabilitation, ATI provides on-site athletic training services to schools and clubs in Bellevue. We are experts in preventing, evaluating, treating and rehabilitating injuries, and will coordinate care with your physician, parents and school/club officials to get you back in the game. Visit your local Bellevue ATI to learn more. Achieving international recognition for its outcomes in workers’ compensation rehabilitation, ATI offers innovative solutions that deliver efficiencies and high levels of satisfaction. We have a simple referral process and performance-based methodology to help increase strength, endurance and cardiovascular function with the goal of returning you back to work. Visit your local Bellevue ATI to learn more. To request a complimentary screening, call (425) 455-2630 or visit your local Bellevue ATI within 24-48 hours to schedule your first appointment. Our clinicians will develop a custom treatment plan that addresses pain, gets you moving and lowers the chance for future injuries. Plus, we’ll make it fun along the way. ATI accepts virtually all major insurance carriers and will verify insurance for you.